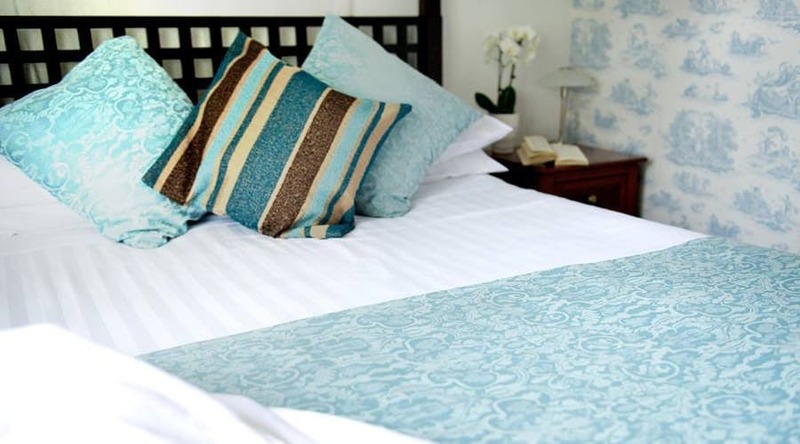 Best for: Anyone looking for deep rest and a personalised yoga retreat experience. Not for: People looking to be anonymous in a large group. Founder of Mellulah Retreats Saira Francis has been running yoga retreats since 2011, drawing a loyal following from across the UK. This new partnership combines Saira’s excellent yoga tuition and healing energy with Middle Piccadilly’s retreat space in a peaceful rural setting. On her three-night retreat, six guests are invited to deto; digitally, physically, mentally and emotionally. Deep transformational healing is supported by one-to-ones and pre and post calls. There’s also healthy food, a sauna, a soak tub and a variety of extra holistic therapies on offer, and you’re encouraged to detox digitally. The one-to-ones and intimate group size ensures guests are fully supported throughout the retreat and afterwards, and that schedules can be tweaked to suit participants. Mellulah only run retreats a few times a year here, so book way ahead. 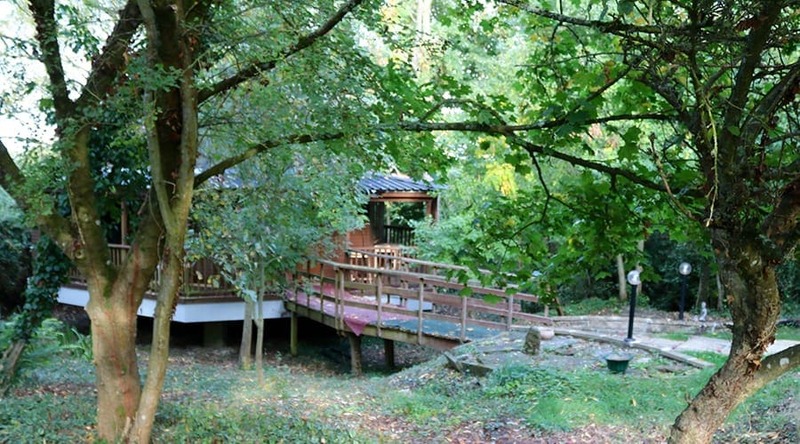 Sally Kirby reviews this 3-night Deep Transformational Healing Retreat with Mellulah Retreats at Middle Piccadilly in Dorset and finds the support and non-judgemental ear she needs to help her through a period of big change. The retreat schedule includes yoga, meditation, sound baths and mindfulness workshops, to be enjoyed alongside holistic therapies, country walks and spa treatments. 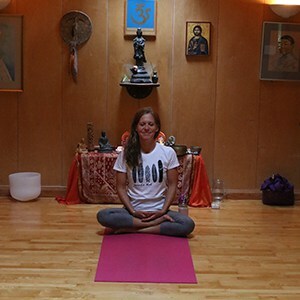 Saira Francis is an experienced Vinyasa Flow yoga teacher with an holistic and traditional approach to yoga. Her groundedness and focus on the health benefits of yoga ensures that everyone feels comfortable. Classes are twice daily for 90 minutes; the morning, an opening, energising flow, the afternoon, relaxed and restorative. Both sessions finish with chanting, mantras and long savasanas. 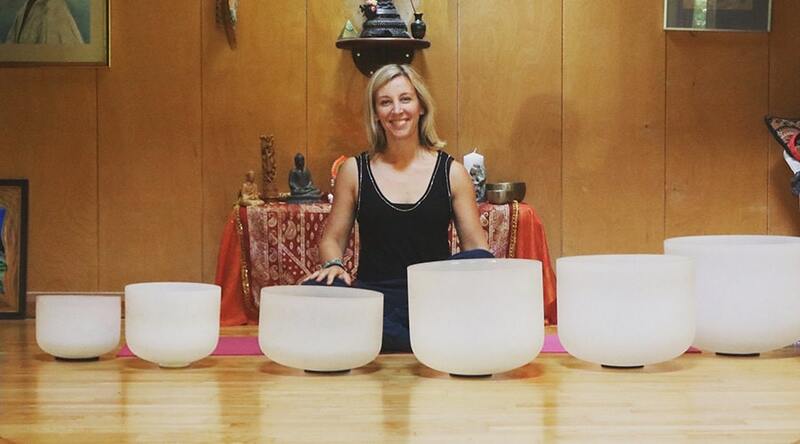 Following morning yoga sessions there are 30 minute crystal sound baths in the Star House. 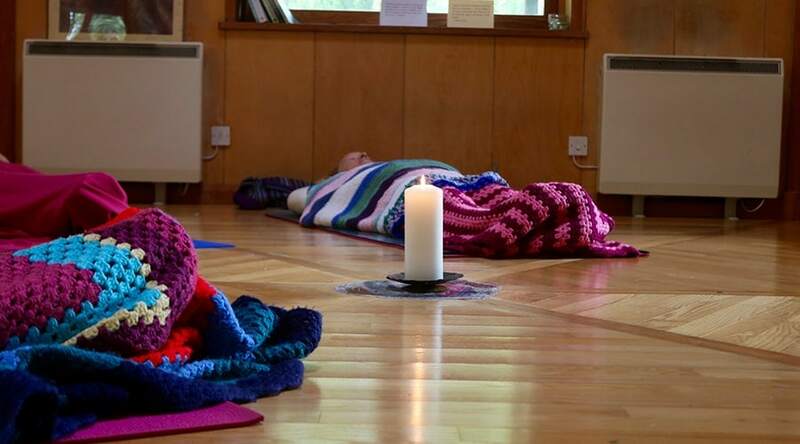 Comforted by blankets, cushions and lavender eye masks, these deeply relaxing and healing sessions help clear tension and negative energy blocks. Tailored to the group, each session is different. A large part of the retreat weekend is quietening the mind. Guests are invited to do this through guided meditations, visualisation practices, and focused workshops with a visiting hynoptherapist. Saira Francis offers pre and post retreat calls, and a one-to-one during the retreat to give space for guests to set an intention for the retreat and come back to it during and after. This personalised approach encourages deep healing and smoother transformation and ensures guests feel supported and guided. The treatment menu is deliberately small and quite quirky in its selection, and all treatments are given by reliably good people who have been treating guests here for years. There’s a Hand on Heart treatment using Spiezia products, a full body deep tissue massage, Middle Piccadilly’s own hand and foot massage, and organic facials. 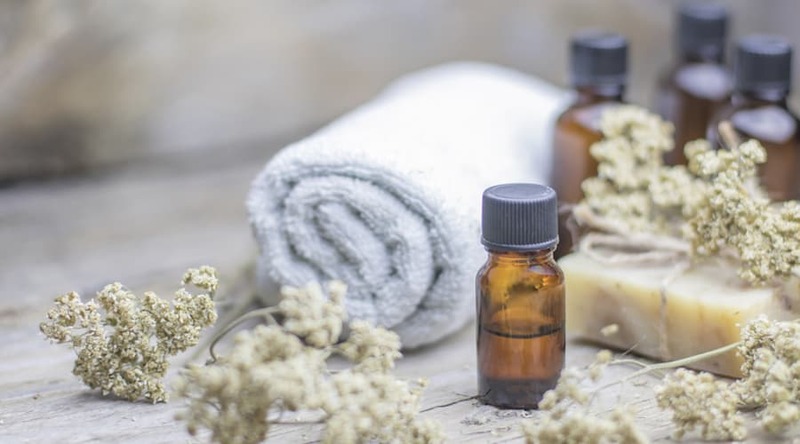 For complementary therapies, you can choose reiki, reflexology, Indian head massage and ear candling (great for ear, nose and throat conditions). There are also wraps and scrubs available. There’s an infra-red sauna to use and a genius soak tub. This is a metre by metre square Japanese-style omnitub that’s around 75cm deep and can be filled with things like mud, seaweed and herbs. It’s deeply relaxing and included in most programmes, but you do need to book a spot! Wander in the garden or have a stomp through the two acres of grounds beyond. There’s a working farm next door but, while you do hear the odd vehicle moseying around, there are no barnyard smells wafting over. Middle Piccadilly is set in Dorset farming country, and there’s a nice circular walk (around an hour) from the retreat or, if you’re feeling the need to get out and about, there are head-clearing, tranquil walks a short drive away. There are five small bedrooms, one ensuite and the others with access to two clean and functional shared bathrooms with complimentary Eysl products. Compact but warm, comfortable and clean, they’re newly decorated with luxury, taupe paints. Simply furnished with wooden beds, wardrobes, and depending on the room, features such as a leather chair or elegant dressing table. One of the single rooms has French doors onto the front garden. Tea lovers will appreciate the tea-making facilities with complimentary Clipper teas, while each has a warm blanket and hot water bottle for extra comfort. The garden has a few benches and seats to sit and ponder on, while the Star House in the grounds is always open and makes a lovely place in which to meditate or follow your own yoga practice when it isn’t being used for a workshop or one-to-one class. Middle Piccadilly can cater for intolerances if given advance warning, and allergies if accompanied by a doctor’s note. Speak to Saira about recommended treatments for your personalized retreat. Bring shoes you can walk in the countryside in. There are some wellies you can pop on in wet weather. 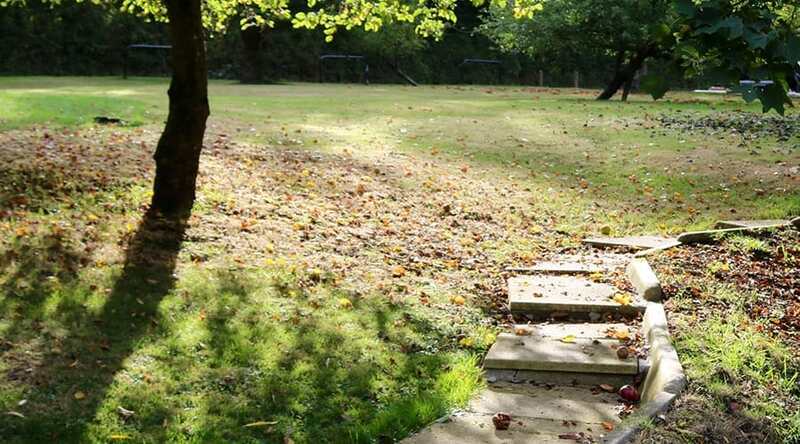 Mellulah runs retreats here a few times ahead during different months, but the Dorset haven is a delight all year round – wrap up for Autumn and Winter, and enjoy the outdoors during warmer seasons. 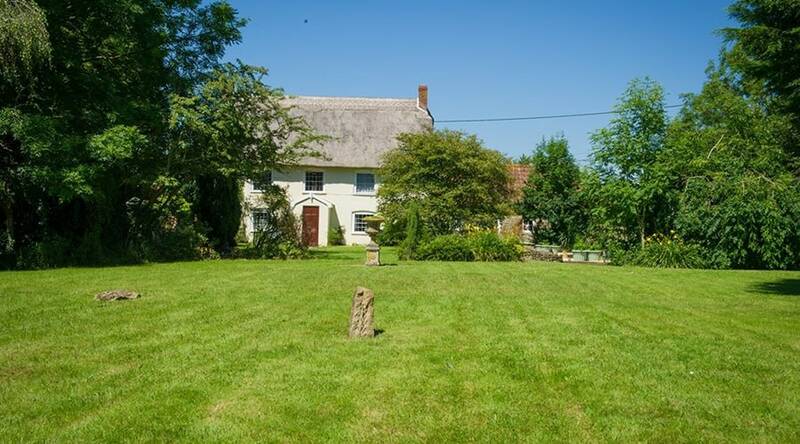 Middle Piccadilly consists of a mellow thatched farmhouse with converted outbuildings and a more modern (1980s) extension which houses most of the bedrooms. It’s a quirky and comfy, rather than boutique and smart. The living room is off and away in a former barn – it’s a high-ceilinged space packed with curiosities including paintings, old books, wall hangings and objects garnered from around the world. There is wi-fi available in one area of the retreat, leaving a signal-free zone for those wanting a digital detox. Treatment rooms are small yet snug and cosy with candles, soft music and low lights. There’s also a separate annex with an infrared sauna, the soak tub and a shower – a fluffy robe will keep you warm on the quick dash over. Tucked away in the grounds is the Star House, a wooden hexagonal shaped building on stilts over a pond that’s used for workshops and private yoga classes. 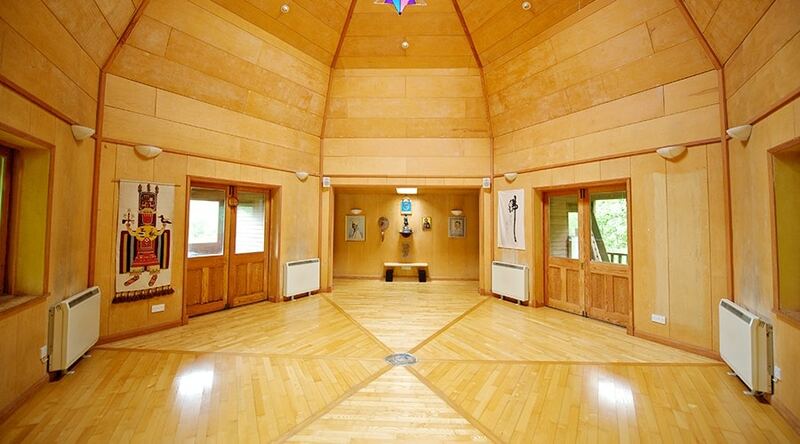 Inside it’s beautiful – a gorgeous airy space with the feel of a wooden tepee with a window in the apex of the ceiling, images from many religious traditions, and, in the centre and under the star window, a small medicine wheel of crystals. 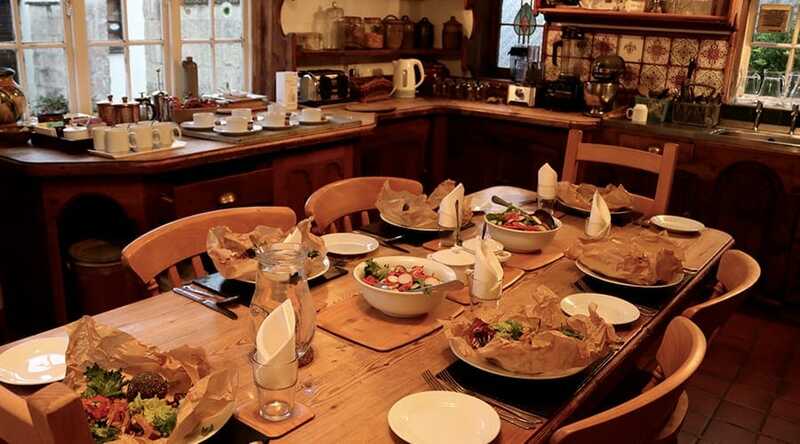 Meals are eaten in the family kitchen which could have come straight out of The Hobbit: solid wood, stained glass and row upon row of earthenware pots and jars. Co-owner Dominic runs the kitchen and is a passionate vegetarian chef, with a particular interest in raw food which we found a revelation on our visit – warming, filling and nourishing. For this retreat the menu is a mix of vegan and raw vegan dishes. Dominic endeavours to use organic where possible and at present it’s about 50/50 organic to conventionally grown produce. 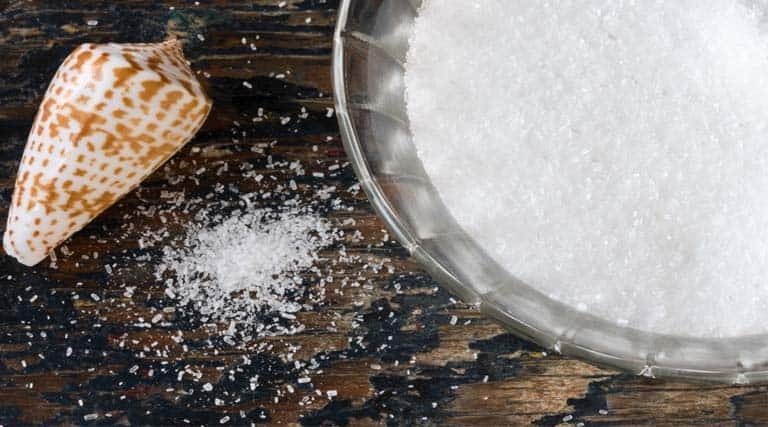 On waking a fresh juice is prepared, and cereals are available if you have a bigger appetite. 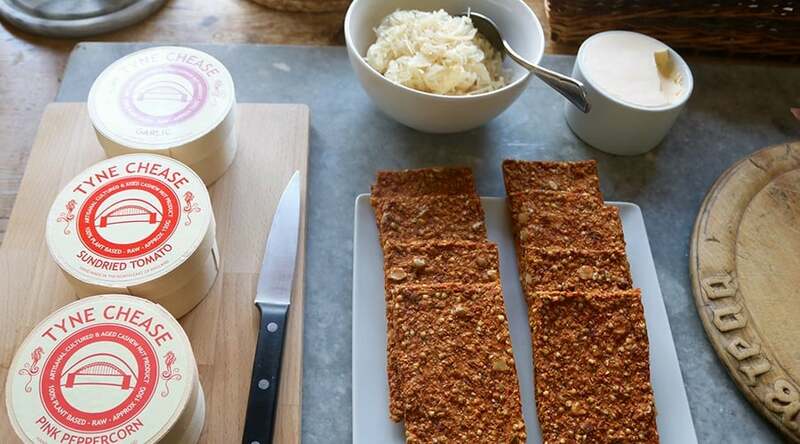 Brunch is simple and comprises soup, bread, salad and a selection of plant-based dairy alternatives such as sun-dried tomato and garlic cashew nut cheeses. Mid-afternoon a delicious chocolate cake and herbal teas are served in the kitchen. For the evening meal, raw food options include Dom’s famous raw nut burgers, Pad Thai with rainforest nut butter puree or a ‘creamy’ curry with parsnip and nut ‘rice’ and colourful salads. 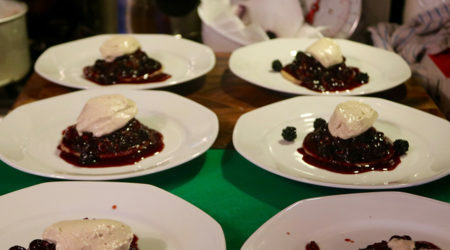 Pudding could be light and dark raw chocolate mousse, cashew cream with blackberry coulis, or vegan-style mango cheesecake. Middle Piccadilly recycles to minimise waste, including food waste, and uses recycled products, organic and ecological products where possible. All the therapists working here live locally.